Located just off the I-8 Mission Valley Fwy, Exit 6A. Convenient to I-805 or I-15 and I-8 intersections. Nearby on street commercial vehicle parking. 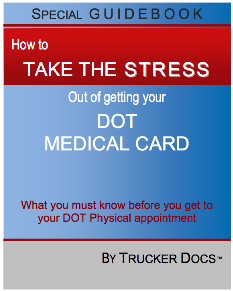 We take care of your DOT Medical Card process and get it done right the first time at San Diego Chiropractic Wellness! Serving California local areas: Mission Valley to San Diego, University Heights, Normal Heights, Mid-City, City Heights, North Park, Hillcrest, Kearny Mesa, Serra Mesa, Grantville, Tierra Santa, and Birdland. “Quick, easy, affordable and quality. Highly recommended. Dr. Paul is a doctor that you can trust and he cares about his patients. There are other options, but I doubt that they are much better than he is. Got my physical exam done by Dr. Paul. He was very professional and quick. The office is easy to find with reserved parking for patients. I went here for a Commercial drivers license physical. I’ve had several physicals through the years, but this was my first one here. Dr. Paul was very thorough. Not only did he do the normal physical but he also explained some issues about my back and how to correct them. None of the other clinics ever did that. Money well spent. I’ll definitely go there for the next physical. I had a great experience and I highly recommend, especially for anyone who needs a DMV physical.